The program will create "Factory Works" bikes compliant with Superstock and Superbike Championship regulations in each country, with various levels of preparation in the engine and electric components and with a maximum configuration that exceed 250 hp. 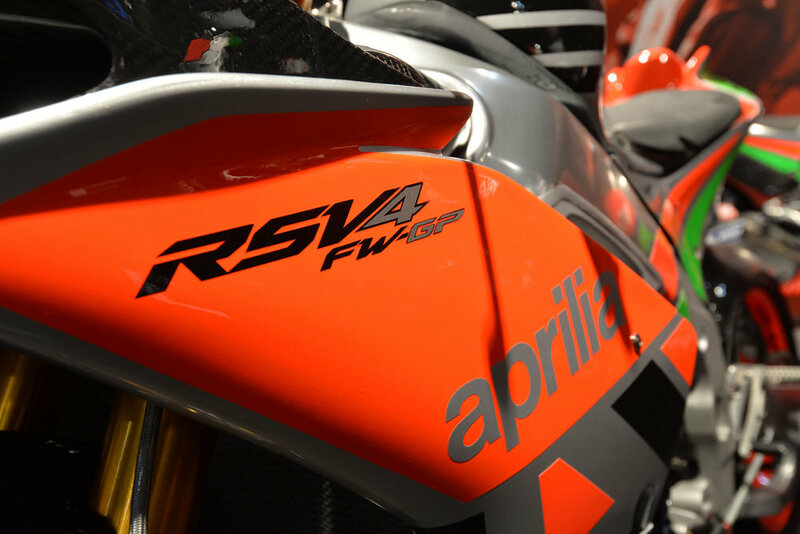 All Versions start with the already exceptional techincal base of the Aprilia RSV4 RR MY 18 RACE PACK. 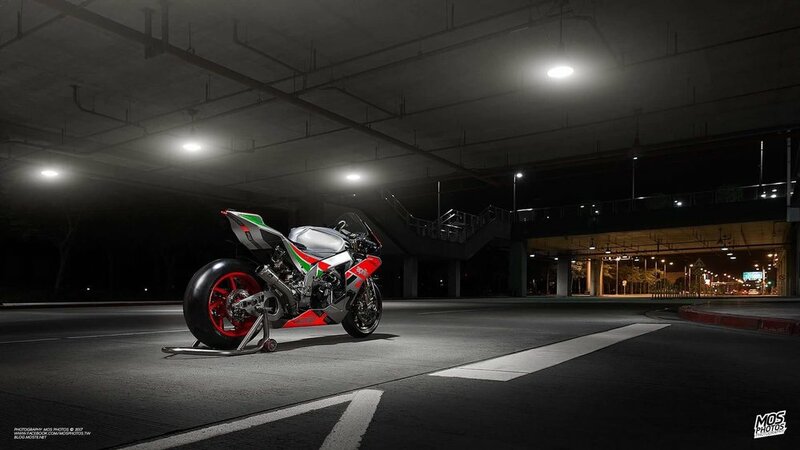 Aprilia RSV4 with Race Pack (Ohlins suspension systems and forged wheels). Reprogrammed instrumentation, predisposed for lap times if combined with the V4-MP system. This is the multimedia platform with which Aprilia introduces a telemetry system that provides, among other things, "corner by corner" adjustment of the RSV4's electronic settings. Optimised and lightened braking system with ABS eliminated. Lightened factory engnie, with no thermostat and secondary air circuit, with simplified cooling circuit lines. Akrapovic exhaust kit, fairings kit and complete engine optimization. Aprilia RSV4 with Race Pack (Ohlins suspension system and forged wheels). APX2 ECU made by Aprilia Racing, fully programmable in ignition and engine control parameters using the included palmtop terminal. The ECU includes the data acquisition system, with the possibility of using both original sensor or optional sensory available and permitted by Superstock 1000 FIM Cup regulations. Special Aprilia Racing instrumentation. Special engine with Aprilia Racing mods. Akrapovic exhaust kit and fairings kit. APX2 ECU made by Aprilia Racing, fitted with GPS module, fully programmable in ignition and engine control parameters using the included palmtop terminal. The ECU includes the data acquisition system with a telemetry sensors kit available as optional equipment. Electronic gearbox with assisted downshift feature. 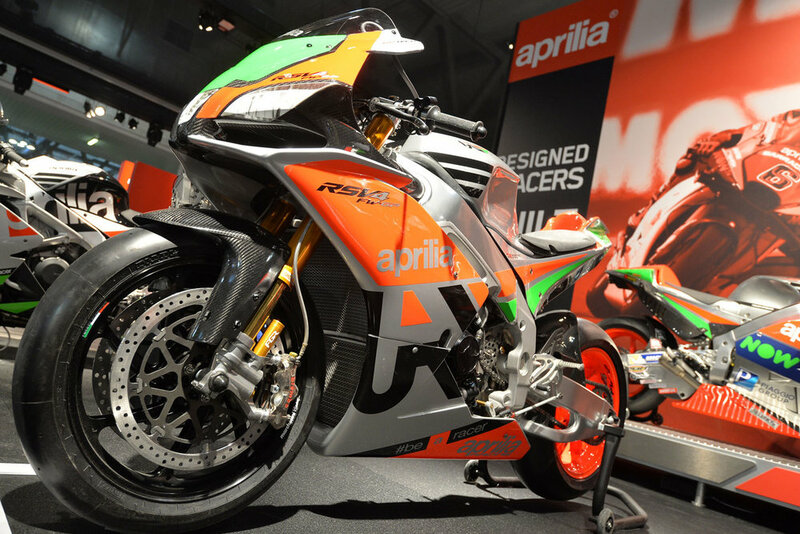 Special engine with SBK mods made by Aprilia Racing. Maximum power reaches 215 hp. The starting point is the top of the range RSV4 R FW SBK, but the Aprilia V4 engine, derived from the unit in the RS-GP, has an 81mm bore and pneumatic valve timing to ensure maximum power of more than 250 hp. The customers will receive truly special treatment: they are invited to the Aprilia Racing headquarters in Noale to stipulate the contract, partly so that they can select the ideal configuration for their needs and budget along with our engineers. During the preparation of the bike, they will receive "live" images of the outfitting progress and they have a telephone line and address available for any other need, both of which remain active subsequently in order to receive information or request support. 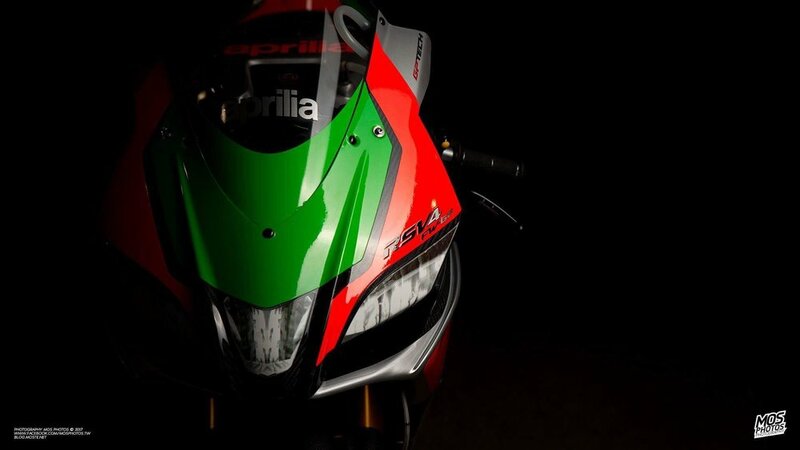 The bike is hand delivered by Aprilia Racing engineers with pick up, if desired, at Noale. The customers also have the right to receive Aprilia Racing branded full track leathers and a paddock pass for an entire MotoGP Grand Prix weekend, in addition to an invitation to participate in an Aprilia track day, where Aprilia Engineers can adjust the bikes settings based on their riding needs and provide the best possible technical tips to take full advantage of the RSV4 FW-GP's mechanical and electrical potential.